So apparently there's a bug in Facetime that lets people calling you hear what's going on on your end before you even answer the call. Ooops! 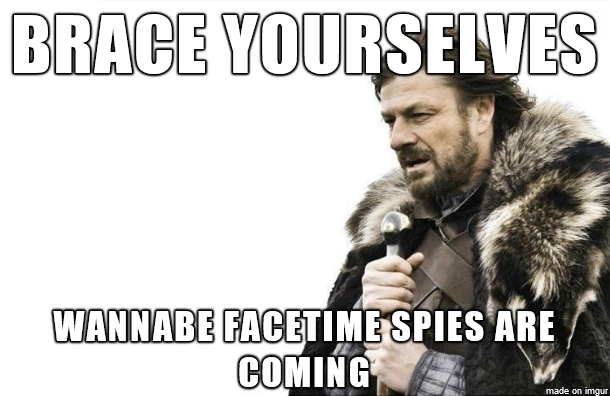 Apparently Apple has already temporarily disabled Group Facetime in order to stop people from exploiting this vulnerability while they prepare a fix, but the script kiddies are still going to try it because word of the vulnerability will almost certainly spread farther and faster than word of Apple neutering it.